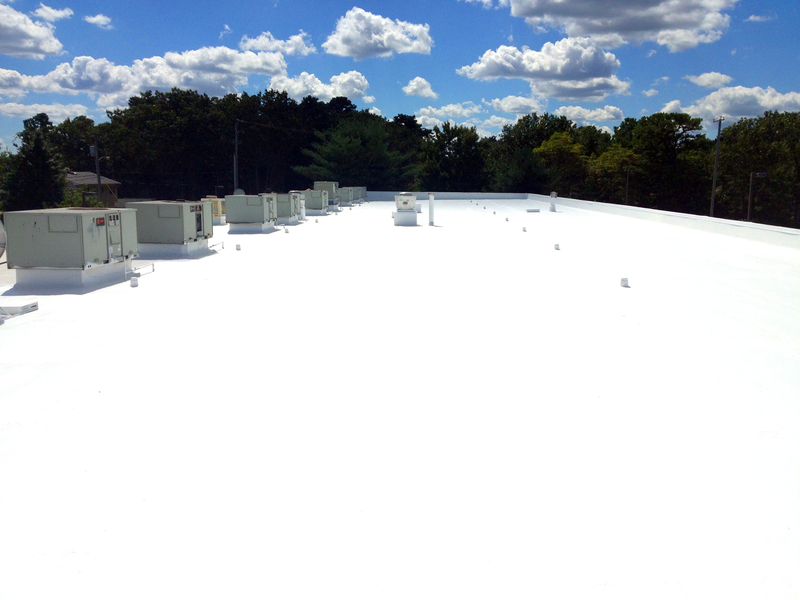 Roofs are environments that need to withstand various weather conditions to protect your building and keep it safe. 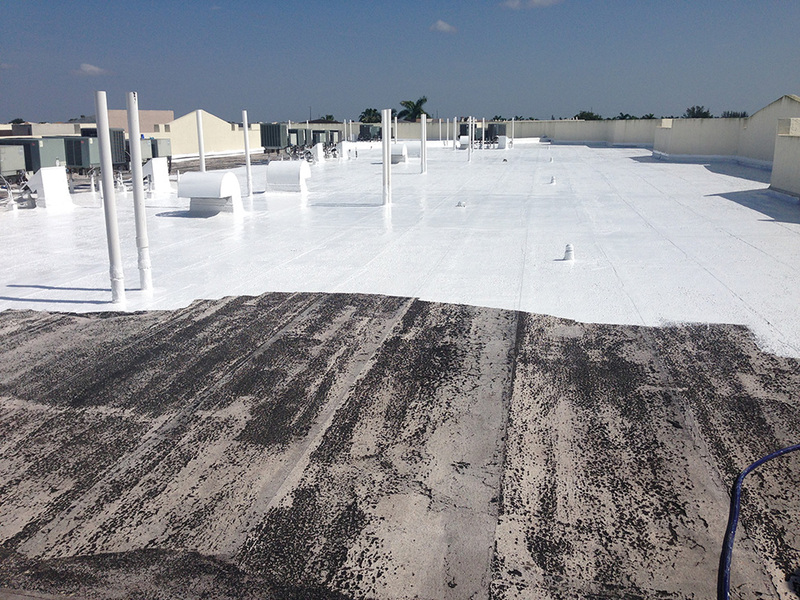 Acrylic coatings have emerged as a viable solution for roof restoration and protection, as they offer multiple benefits such as durability, reflectivity, cost effectiveness and ease of application. Metacrylics has taken that model and improved it in every respect, as we’ve created fully adhered, monolithic acrylic coatings that significantly enhance the durability of all kinds of roofs, and they come with many other benefits as well. Our coating, which contains a premium acrylic resin, no zinc oxide, no plasticizers, excellent reflectivity and UV resistance. You’ll gain more resistance to long-term wear while seeing notable improvements in your heating and cooling bills. Protecting your preexisting roof from irreparable damage also cuts down on landfill waste as well as costly repairs and replacements. You’ll also see reduced chalking and bio-organism growth with our specially designed membrane, which bucks industry trends by forgoing additives that artificially enhance elasticity. Water ponding, which relates to any residual water that sits on a roof section for more than 48 hours, can facilitate bio-organism growth, accelerate wear and tear, and cause the buildup of dirt and debris. Additives from competitor coatings can reduce dry mil thickness, making the coating more susceptible to damage. However, our manufacturing processes resist those issues, as it can coat thicker while remaining flexible in the face of continually changing roof conditions. These qualities hold off the effects of ponding water. Because of the durability of Metacrylics acrylic coatings, there is no warranty exclusion for ponding. We prioritize efficient, quick installation methods, and we can adapt our materials to fit many different situations and surfaces. Our acrylic roof coating systems are applied via sprays, brushes or rollers. In addition to receiving unbeatable quality at affordable rates, you’ll also benefit from Metacrylic’s Total Service approach, which we’ve implemented for more than 40 years. We prioritize comprehensive technical support and customer relations, as you can expect transparency and readily available experts at every step of the way. We also offer extensive, renewable warranties that help to protect you against different obstacles and damage. Contact us today to speak with an expert about your project.